When I moved to Arizona, I had zero say in where I was going to be living. My boyfriend, Zach, and his roommate had already secured the apartment that would soon be my future home. Now don’t get me wrong, the place is great. It’s clean, we have a nice little patio, and we’re in the perfect location to all of the fabulous entertainment the area has to offer! What I’m struggling with most is the lack of space and storage. I love my man and all, but I wouldn’t complain about a few extra square feet in the bedroom. But anyway, living in this small space has actually been good for me. Things can get a little out of control when I have too much free space. So living here, I’ve learned to be a little neater. I’m organizing better, and I really wanted to share this adorable little bag I’m using to organize my makeup. It has been a complete life saver for me here! It was a Christmas present from my momma (who I’ve just convinced to get some for herself because they’re so freaking AMAZING!). 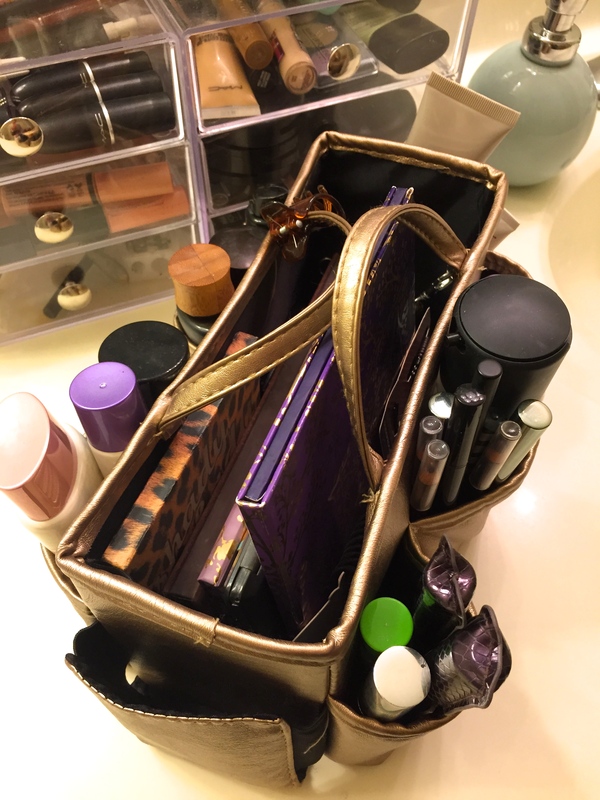 They are mainly shown as purse inserts, but I’ve found them to be wonderful for organizing makeup products! They’re called the Ready Set Go organizers. They come in two different sizes. 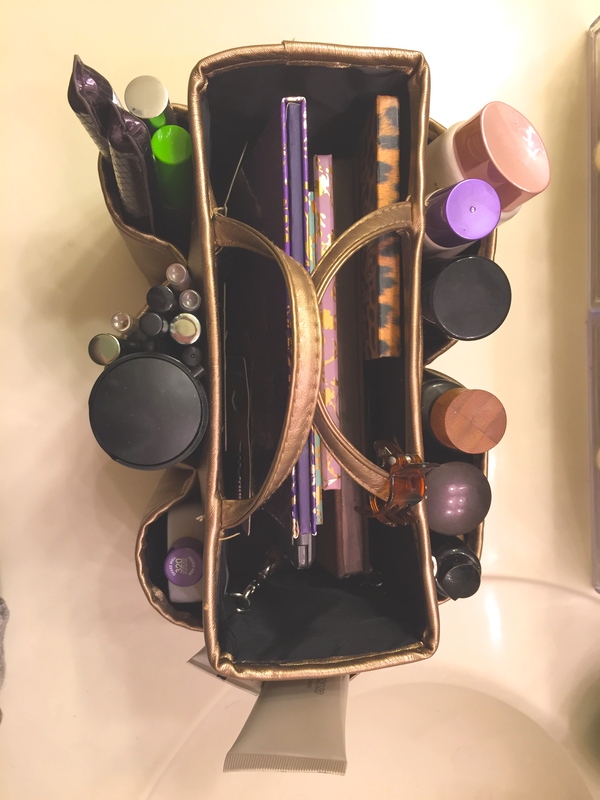 I’m using the large one here, and it does a really good job of holding many of my everyday products, and then I can simply store it in the the bathroom drawer. I love it! I currently have no space for the vanity that I used to use, so my organizing bag is my new vanity. But it’s so much better than using a regular makeup bag. There’s none of that frustrating digging around for products. They are all right there where you can see them. 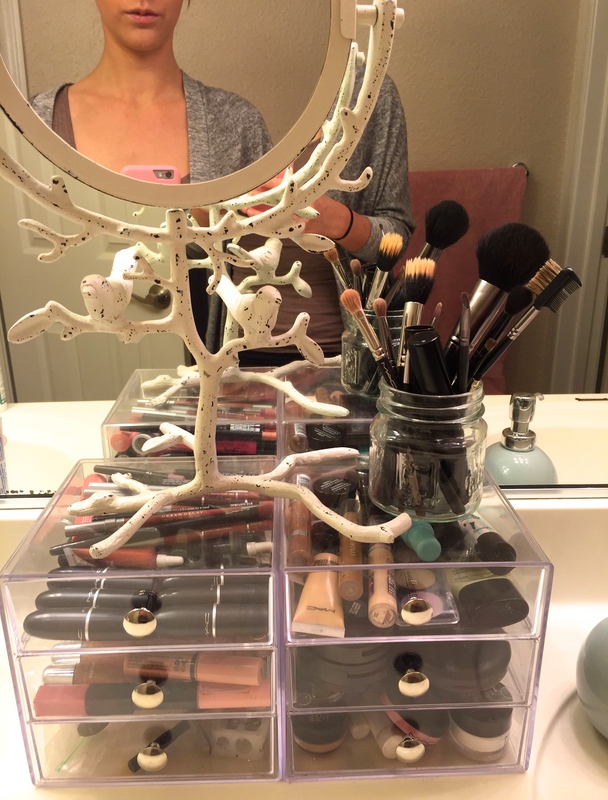 Ahhhh, I am just obsessed with how neat it keeps my things! I also have my favorite cosmetic storage boxes from Amazon that I’ve been using for a couple years now. I’m obsessed with these little guys not only because they look so nice, but because they’re totally affordable too! And a cute way for storing makeup brushes is as simple as a little mason jar. Voila! Hopefully the next place we move, I will be able to have a nice space to organize and store my makeup again, but until then, I LOVE my little makeup bag! ← Going with the snow…I mean, flow.